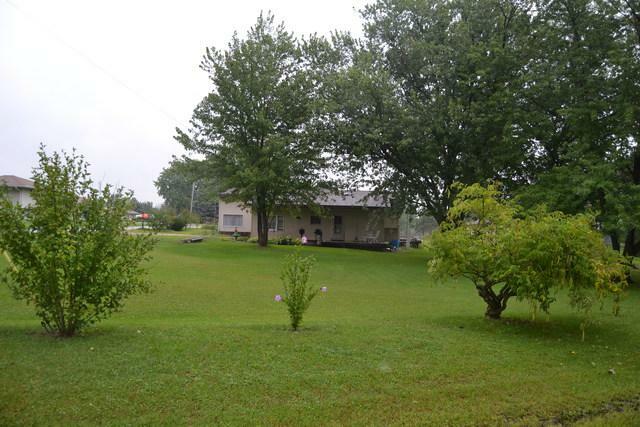 Home sits on 1.24 acre. Its a 2 bedroom, 1.5 bath with potential to add a bedroom and another toliet. Home does need some work, several unfinished areas. This will require a cash or conventional loan only. There is an outbuilding, pole bldg 30x50 in size, with an area of 16x30 that is insultated. There is also a shed on the property. Roof is less than 3 yrs, Well pump approximately 2 yrs old, located in the pump room at the back of the home. Well is approximately 180' Deep. There are 2 septics on the property, one in the front of the home and one on the southside of the home. Home is listed well under the assessed value. Taxes are being protested by owner as they are believed to be too high. Home will not pass USDA, FHA loan programs.